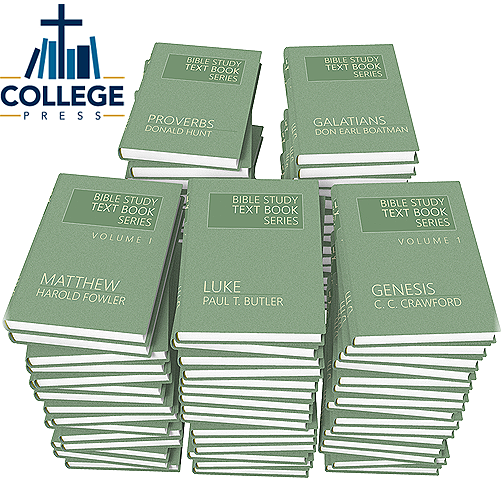 The College Press Bible Study Textbook Series (The Old Green Commentaries) includes 59 books and over 30,000 pages of valuable insight. This library includes outlines, introductions, essays, paraphrases, surveys, maps, illustrations and questions to engage the reader. Written between the 1960’s and 1980’s, this classic study series is respected throughout Christianity. For many Christians, a few volumes from this set was their first Bible commentary. This set is a textbook rather than a traditional commentary. The difference is the amount of time required to read an entry, the presentation of material, and the amount of material. This set is not intended to be a quick reference. © Copyright (see dates below), College Press (and authors, as specified below). All Rights Reserved. Used by BibleSupport.com with permission. The Bible Study New Testament, vol. 1-2 includes introductions to each book and explanatory notes to help readers achieve a greater understanding of Scripture. The World and Literature of the Old Testament provides understanding of Old Testament texts in their original context. The discussion includes an in-depth look at the historical periods behind Old Testament literature, how each text came into existence, the types of literature contained in the Old Testament, and much more. Wartick seeks to prove that Scripture is believable, trustworthy, and reliable. Updating J. W. McGarvey’s Evidences of Christianity, Wallace Wartick brings the audience a survey of Biblical evidences, including presenting new discoveries in this field of study. This volume addresses topics that include the integrity, genuineness, credibility, and inspiration of the New Testament. C. C. Crawford’s Survey Course in Christian Doctrine, vols. 1-2 is a 26-lesson course focused on “God’s Moral System.” The first 13 lessons focus on the God of the Bible and the latter 13 address the problem of evil. Each lesson includes Scripture passages for reading and memorization, as well as questions and answers. Christian Doctrine, vol. 3 & 4 is a 52-lesson series of a Survey Course in Christian Doctrine. Providing an entire year of Bible study, this volume addresses the Mystery of the Person of Christ and the Mystery of Godliness. Learning from Jesus is a study of Jesus Christ—who he is, what he taught, and what he accomplished. This volume helps readers better understand the Gospels and Jesus as Christ, and includes key Christian principles for personal application. New Testament History: The Christ, The Inter-Testament Period is a complete harmony of the Gospels, divided into two parts. The first section overviews the text and the second section includes passage outlines and follow-up questions.Topics include Jesus' early Judean, Galilean, second year, third year, later Judean, and Perean ministries. It also focuses on Jesus' last week in the Jerusalem area, the fourth Passover in his ministry, and the forty days following his resurrection. ESTOU AGRADECIDO PELO TRABALHÃO DE VOCÊS.DESEJO QUE DEUS RETRIBUA VOCÊS.MUITO OBRIGADO. Great outlines. Thanks, Josh, for letting the rest of the world taste what you have enjoyed for years. God bless you. 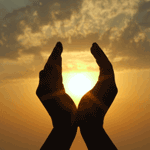 Thank you again for your inspirational work, which encourges us ordinary Christian`s to inspire to greater heights! Thank you for your thourough research.... it's been a long time since I came here...your free downloads are admirable...thank you again... you certainly make it worth the time to watch for new additions...God bless you all! Please do something to give separate downloads especially for this NT commentary. Josh, I think it would be very useful to mention the doctrinal point of view on each commentary download page, like this one, for quick reference purposes. After half an hour of investigating online, for example, I discovered that this excellent College Press Commentary that you offer here, is from the CHURCH OF CHRIST (in Spanish, IGLESIA DE CRISTO) and represents that doctrinal point of view, as I suppose that all College Press publications do. In other words, this is not Catholic, Baptist, Pentecostal nor Calvinist, for those who care to know. Consequently, some will love it for its doctrine, others will use it for comparative purposes, and still others will enjoy it only for the portions that they agree with. I would say that all mainstream Christians will find it extremely useful. Each passage begins by re-quoting the Bible text, and then--get this--presents a TLB-style paraphrase of the whole passage, and then goes into a detailed explanation of each verse where comments are offered. It usually ends with questions for personal reflection, and so on. It is more of a textbook than a commentary, as Josh mentioned above. Incidentally, Josh has done a simply marvelous job on the formatting, and Lord knows where he found the time to do that. Many footnotes appear in light-gray text, so as not to be distracted with the main text, which was a clever idea of Josh's own invention, I believe. As the module contains many tabs, tables and lists, most of the pages do not wrap to the bookview windows, and will have to be expanded or scrolled often, horizontally and vertically, in order to view the text inside each window. This is not a defect in the module, but rather an inherent defect in TheWord, whenever there are charts, tables, or graphic images of any sort, in general, included within the text. I do not have the version of the module made for eSword, but I would guess that it was not an issue in that program. This is a classic set used by students at major Bible colleges for years. It is a huge set. It comes with questions to test your understanding. It's probably more Bible study than you'll ever use. But the parts you do study may be invaluable. Which operating systems are compatible to download this series, please? I don't see the information anywhere or an I not looking in the correct place? Thank you.